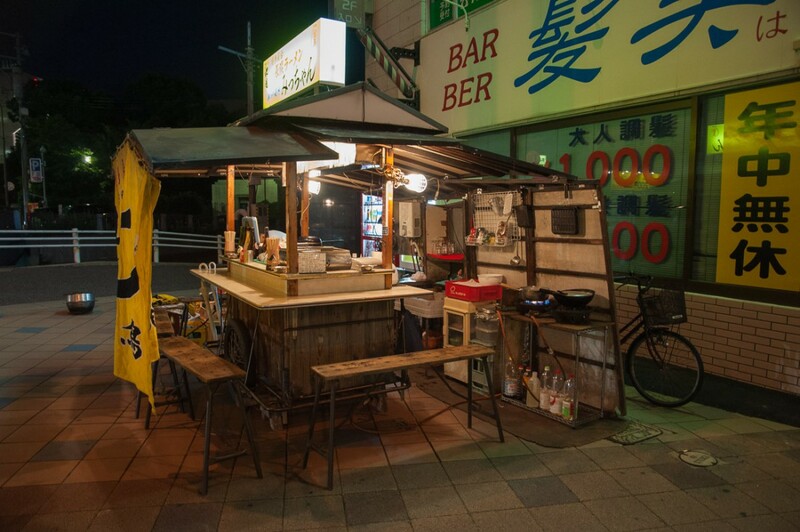 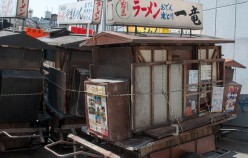 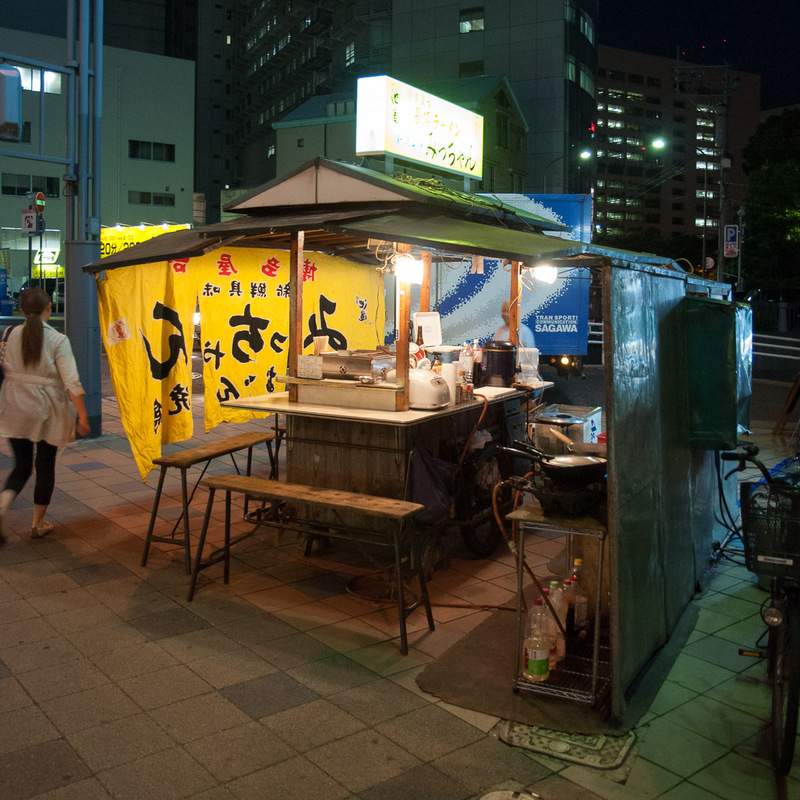 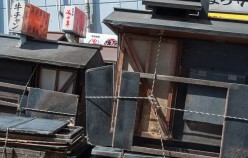 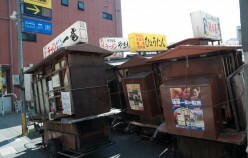 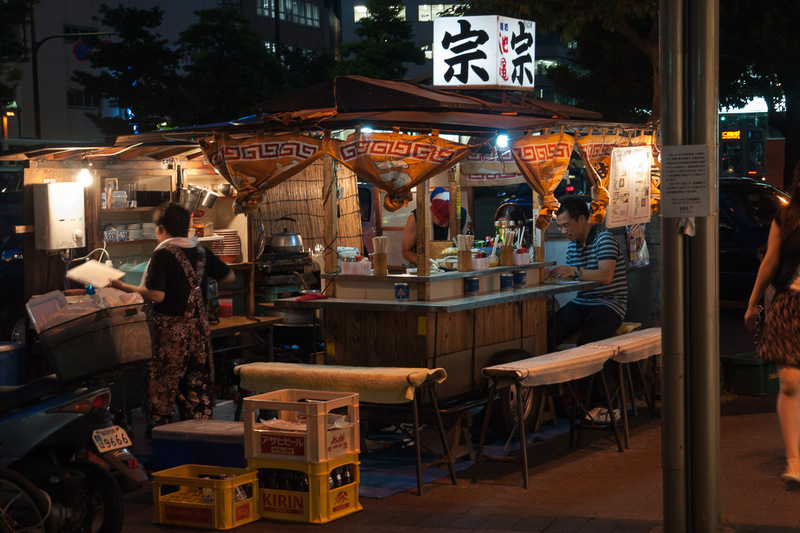 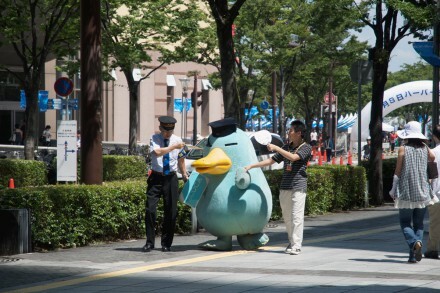 Fukuoka’s Yatai (street food stalls) are famous. 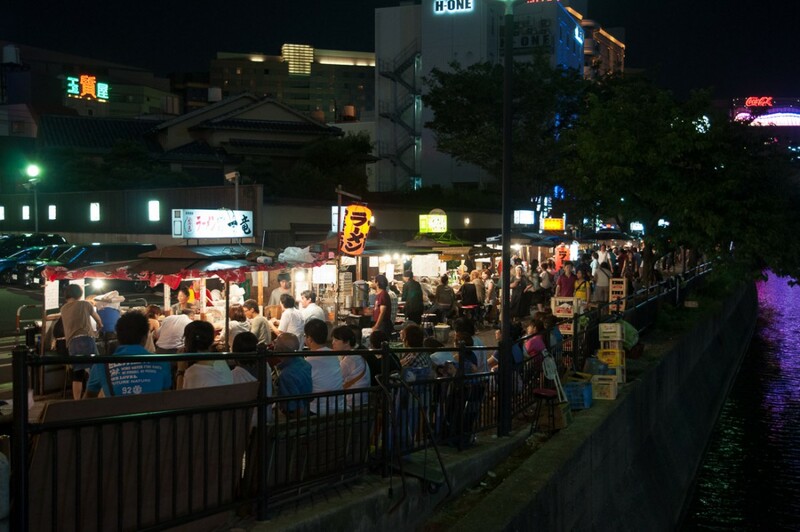 At night they can be found at various locations in the city but the greatest concentration is along the river. 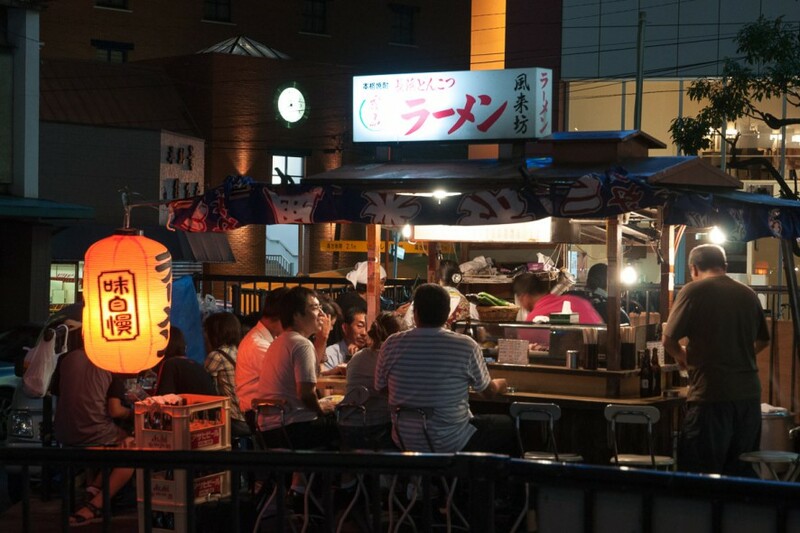 People flock there in masses to have a bowl of noodle soup, or some drink and the atmosphere is lively. 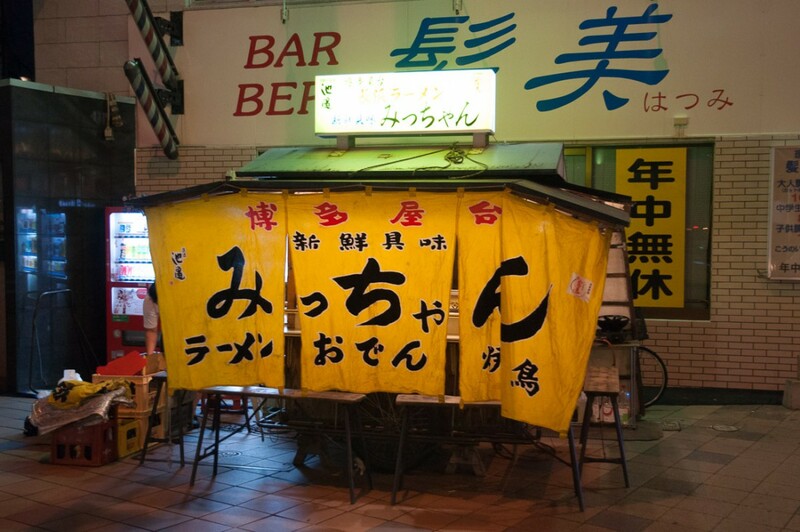 Friends talk to each other, strangers talk to each other and sometimes become friends. 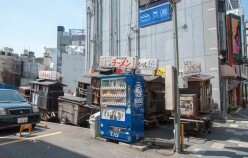 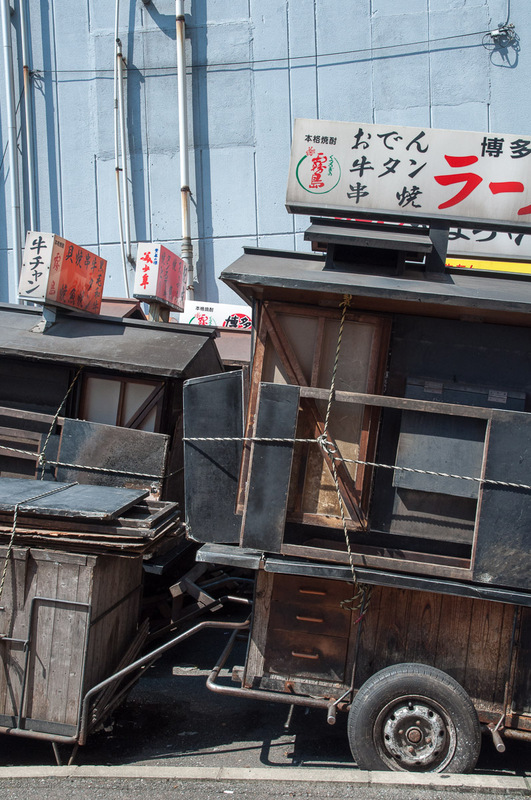 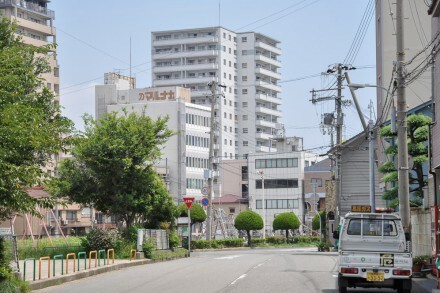 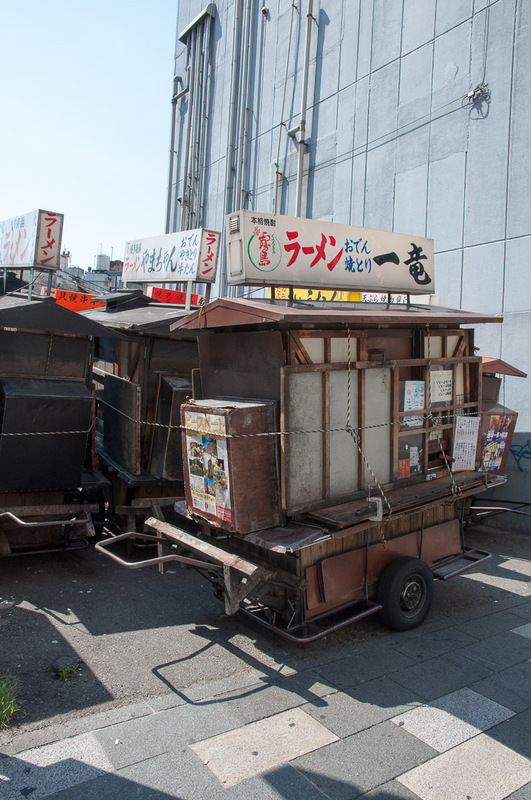 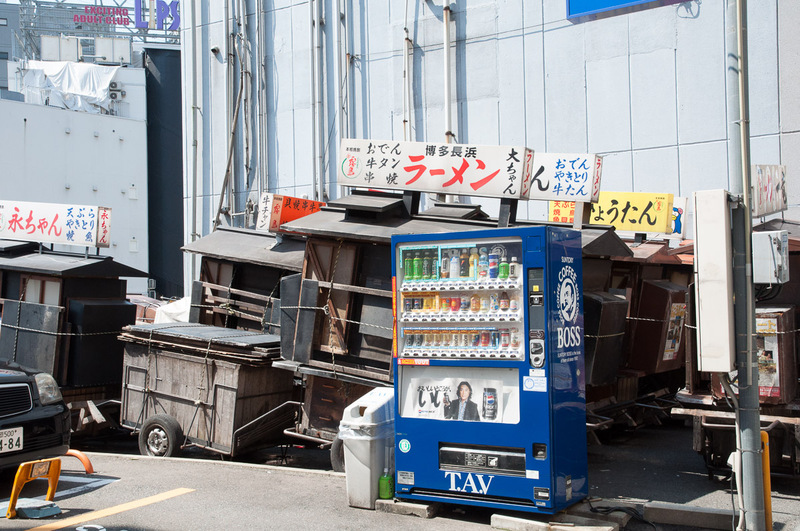 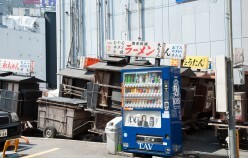 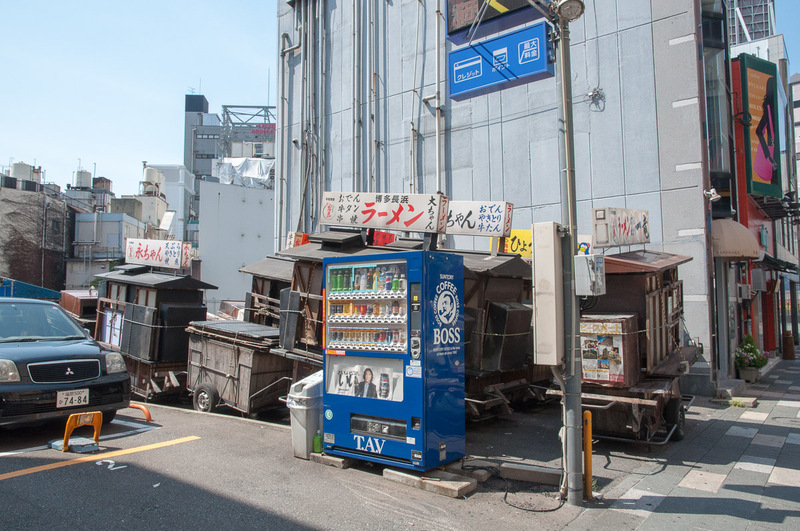 Passing this parking lot where all the carts that were so lively the night before were sitting quietly, all neatly packed away, it seemed like a dormitory for sleeping yatai carts.